Get ready for the catwalk. Lifetime has announced the guest judges and contestants for season 15 of Project Runway. Mentor Tim Gunn will return alongside regular judges Heidi Klum, Nina Garcia, and Zac Posen. The new guest judges include Quantico star Priyanka Chopra, Camilla Belle, Vampire Diaries‘ Nina Dobrez, Sabrina Carpenter from Girl Meets World, and UnREAL star Shiri Appleby. 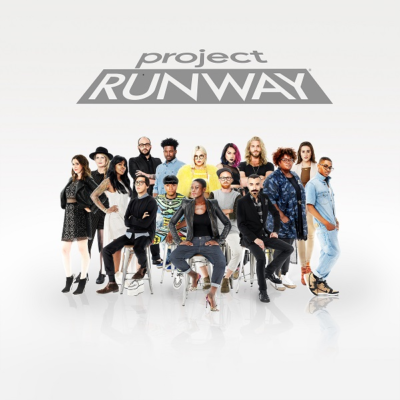 The new season of Project Runway debuts on September 15th at 9 p.m. ET/PT. New York, NY(August 8, 2016) – More than a decade after Project Runway rocked the fashion world, Lifetime’s Emmy®-nominated series returns Thursday, September 15 at 9pm ET/PT for its milestone fifteenth season. Year after year, Project Runway hopefuls have competed stitch by stitch for the chance to make their mark on the world of fashion. Having propelled aspiring designers into the style spotlight, Project Runway has left no sequin un-sewn. Continuing to uphold the runway legacy, this celebratory season will take fashion to a whole other level with 16 new designers. Determining whether they’ve created a fashion feat or faux pas are returning judges Heidi Klum, Marie Claire’s creative director Nina Garcia, creative director for Brooks Brother Women, fashion designer Zac Posen and mentor Tim Gunn, who once again will have the power to “save” one designer from elimination. What do you think? Do you watch Project Runway? Are you excited about the new season?